We can sandblast photographs and art on glass and metal plates. These archival art pieces are a great way to show off your favourite works of art. Once the image has been sandblasted they will last a lifetime. Our metal plates are 11" x 11". They can be used as one single art piece or used in a tile format giving you the ability to produce very large art installations for a foyer or other large rooms. 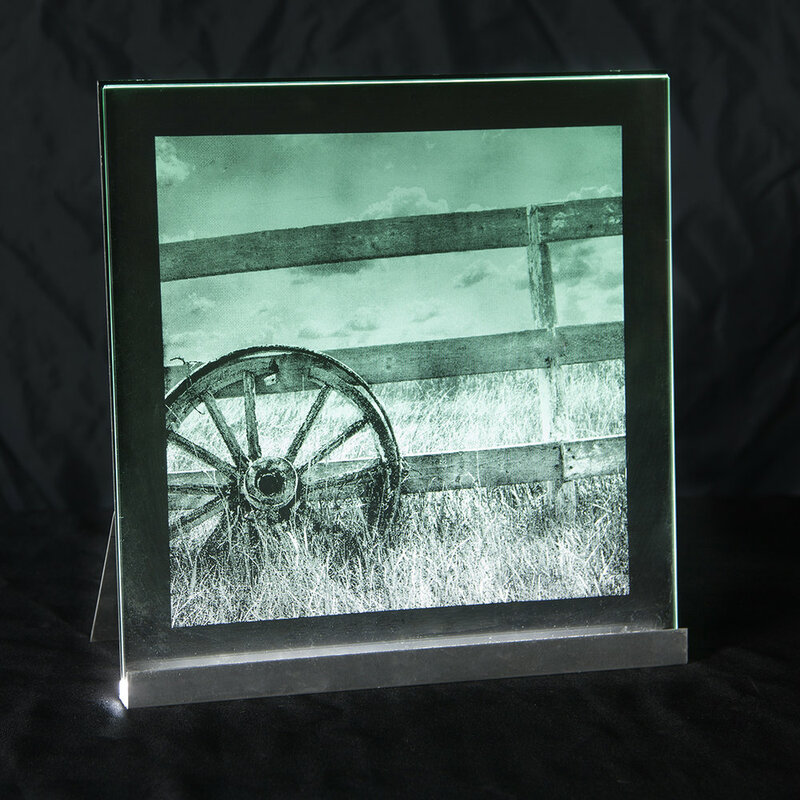 Our glass plates are 12" x 12" and are bottom lit by an LED light to make the art piece glow. They come with the LED light and stand. We can offer these products on a retail or a wholesale pricing model. If you are a professional photographer please call us and add these products to your services offered. For more information, contact me at (780) 454-1511 or use the form below. To order sandblasted art we will need a high res jpeg with a minimum size of 2000 x 2000 pixels.